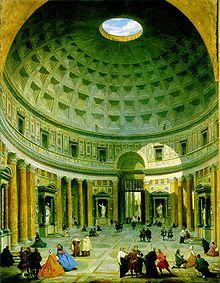 The interior of the Pantheon in the 18th century, painted by Giovanni Paolo Panini. Courtesy of Wikipedia. We’re deep into the history of Rome here in our homeschool, currently studying the ceasars before Nero, during the spread of the gospel and the lives of the apostles. It’s really fascinating stuff! 🙂 We recently studied about some of the temples constructed for their gods. In addition, I’ve been reading Henry Morris’ book, The Long War Against God (an excellent book). As I’ve been pondering more this week about some questionable homeschooling goals, I’ve been thinking a lot about that Pantheon. You see, pantheism is the belief that god is in all things, that all things are god, and that god is even in me. It comes from the roots pan plus theism, meaning “all” and “gods.” It’s a very nice thought, that a god-like force pervades the universe, the trees, the stars, the ancient gods of every culture — and even me. It’s the thought behind sayings like, “Say a prayer to the universe for me,” or “Wish upon a star,” or “Send good thoughts out there for me, okay?” The idea is that god is in all things, that we can pray to this god, and that this god will move throughout all the universe to work things out for my good. The dangerous thing is that this idea has certainly crept into the homeschooling world. Some people believe we can worship God and idols, adding the Bible to a pantheon of idols in our lives. I’m simply finding fault with the possibility of including all gods in a pantheon of homeschooling philosophies. I’m finding fault with adding Jesus to my worldly “god shelf,” with having my worldly cake and eating it, too. It’s a sneaky thing that can happen without our even realizing it, so that’s why I’m bringing it up today. I’ve been a happy Charlotte Mason fan since I first heard about her in the late 1990s. I’ve happily read all her books and all the books about her. She has certainly been a huge influence on my life, and if you peruse my website, you’ll easily see her influence in my writing and in my homeschooling downloads. Don’t you hate when you absolutely love and feel comfortable with something… and then you can feel God gently trying to remove it from your life? Maybe I won’t throw out all the Charlotte Mason with the bathwater, but her methods and philosophy are certainly getting a closer examination in my own mind. I’m trying to be honest and fair with you here. I don’t have it all figured out yet! She was not a creationist. She believed in theistic evolution. Now I realize that she lived in England during the late 1800s, and in all fairness, there were very few creationists anywhere in evangelical churches, in Europe or America. Instead, churches were befuddled by what appeared to be the “facts” of evolution, yet they dearly loved God’s Word and defended it. How do you defend a literal creation without appearing to have lost your mind? The only option is to adopt a long-day theory, a gap theory, or other compromises. These theories continue to this day, by the way, as Sonlight’s John Holzmann writes. He proposes that we all just get along together. I strongly disagree! 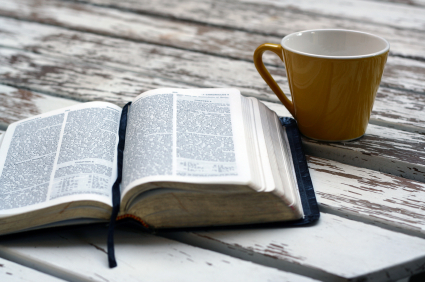 I think that we should treat each other kindly, but the more I study my Bible, the more firmly convinced I am that creation is one of the most important doctrines in the Bible, to be preserved, defended, and passed on to my own children. So if I firmly believe this, why am I so avidly devouring everything written by Charlotte Mason? Even more importantly, which of her philosophies are based on good, solid, bibilical truth — and which have been tainted by theistic evolution? Even I’m not sure. Hmmm…. Not sure if I agree with that, for two reasons. First, God’s Word says I’m to actively teach his commands to my children (but yes, in the context of everyday life). Secondly, I now have seven children, and it just doesn’t seem to work. Maybe my kids are dumb, or maybe their mother is dumber, but we all seem to have brains made of rocks. We need daily pounding (a.k.a. “drill” and “memory work”) to get things to stick. That’s one reason I’ve been drawn more and more to classical education, a form of homeschooling that no one talked about when our family started homeschooling — but it’s incredibly popular now. Popular advocates include Dorothy Sayers, Susan Wise Bauer (The Well-Trained Mind), Harvey and Laurie Bluedorn (Teaching the Trivium), and Christine Miller (All Through the Ages and the website, Classical Christian Homeschooling). In my own words, classical education emphasizes memorization and languages (such as Hebrew, Greek and Latin) during the “grammar” stage, logic and thinking skills during the “logic” stage, and communication through writing and speaking during the “rhetoric” stage. Love it! “This is what the LORD says: ‘Stand at the crossroads and look; ask for the ancient paths, ask where the good way is, and walk in it, and you will find rest for your souls'” (Jeremiah 6:16). Classical education advocates returning to the ancient paths, asking what a good education has consisted of throughout history, analyzing why it was so effective, and deciding to throw public-school mythologies out the window in favor of this ancient education. “Yet my people have forgotten me; they burn incense to worthless idols, which made them stumble in their ways and in the ancient paths. They made them walk in bypaths and on roads not built up” (Jeremiah 18:15). Many times those “ancient paths” are filled with “worthless idols.” This is easily and quickly seen when you examine a list of the “Great Books” which we’re supposed to be returning to. (Some popular lists are TheGreatBooksList.com, List 1 and List 2 from the Well-Trained Mind, and many more, if you’ll Google it.) God says that if I turn to these “great books,” I could very well cause my own children to forget Him and to stumble in their way. I have a personal dread of causing one of these little ones to stumble in sin, and you should, too! This summer, we sat down and threw away a LOT of books from our home library. A few more books might still get thrown. In my mind this is a serious matter. “…be careful not to be ensnared by inquiring about their gods, saying, ‘How do these nations serve their gods? We will do the same.’ You must not worship the LORD your God in their way, because in worshiping their gods, they do all kinds of detestable things the LORD hates” (Deuteronomy 12:30-31). If I am intending to have a “great conversation” with the Greatest Book ever written (God’s Word), then I think it’s fair and good to consider some of the teaching methods proposed by classical education and indeed used to educate some of the finest and godliest believers who have ever lived. Just keep in mind that some current authors consider the Bible to just be one great book out of many. It’s very subtle, so be warned. I believe that words can have a profound affect on us. God’s Word especially holds this power, as Jesus Christ is the living logos or Word. His Word is everlasting and can cut to the deepest parts of our hearts. But it’s a very pantheistic idea to assume that all man’s words have this god-like power. I’m an author, and I really do love books. I also realize that my words have power, and I pray that I use this power responsibly. But my power is not equal to God’s. Other authors are aware of their power, too. If nothing else, many times our minds are taken captive by vain and worldly philosophy that has been planted in our world by the Father of Lies himself. As my husband is fond of saying, “In our minds we agree with God, but then our hearts kick in.” In other words, it’s easy to say in theory that we are basing all our decisions on the Bible, but in reality it’s hard. It’s hard to see the errors in the first place, then it’s agony to tear them out of our hearts. I think this is such a great post b/c of what you are pursuing in it….and that is God and His way of doing things….”seek first His kingdom and His righteousness-His way of doing things-and then all these (other) things will be added to you”. 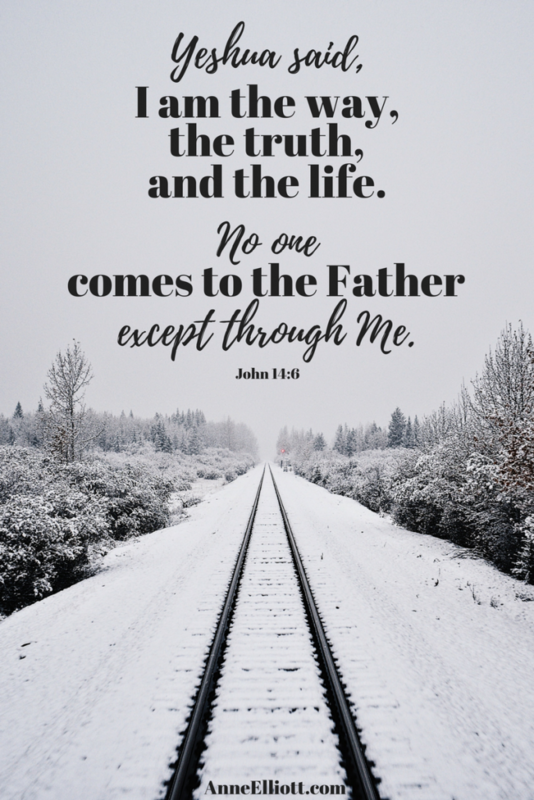 I am where you are…examining everything…giving up on things I thought worthwhile when I first started…and getting comfortable in our own “groove”….meaning what the Lord would have US to do. I’m learning to “eat the hay and spit out the sticks”. I’m finding every homeschooling philosophy has some of both. And then it also depends on the seasons of your life that the Holy Spirit has you in. I thought I’d never go back to workbooks…I have them now, only I’m finding I’m using them differently. Before, I relied on them totally but now I’m relying on the Lord and using the workbooks as I’m led or see the need for them. And then next year I may not use them at all. I’ve come to understand this is the season we are in….I’m learning not to hold on too tightly to any of it but to hold on tightly to God so I can hear Him when He gives a direction to change a method, or resource, etc. As the Bible says in Eccl. that there is a time and season for every purpose under heaven. There is a time and a season for my son to learn his time tables, maybe not when the public school deems but when God has so ordered it for He holds all of our times in His hands. I just need to be sensitive and fully trust God to order our steps and bring us all to where we need to be in this life. He knows when, where, how, and why. I know I write this so easily and simplistically but believe me I struggle daily with trusting Him in all these things. I know what to do (trust Him) but doing it is a whole ‘nother other!!!! Hello Anne. I agree with your thoughts about both Charlotte Mason and the Classical Method as I’ve observed them being taught among homeschoolers. I feel that Charlotte has many things right in her methods, but when I read her writings, I really wonder how Christian moms can feel all together comfortable with her teachings. One statement she made that set off red flags in my mind was to the effect that we shouldn’t trouble young people with the violent stories in the Old Testament. I just finished reading Ourselves recently and was amazed at how idealistic and at the same time judgmental she sounds in those pages. I find the writings I actually like better are those of Christian mothers who are using aspects of Mason’s teachings. The book “Assumptions that Affect Our Lives” is a book about this very subject. I too have been struggling with some old favorites in our curriculum, I think we have tried it all! I do not agree with everything from any teaching theory or curriculum, and I suppose that is why no two of our subjects fall under one theory or “way” to home school. I wish there was a package that I could order each year that the Lord led me to feel good about, but we have not found it! Thanks for dealing with this in such a thoughtful and non-judgmental way, Anne. It’s wonderdful to see your heart in this matter and it speaks to us all. I have just started to read Easy Homeschooling and found I am looking for an EASY way to teach! I have confronted my sin of laziness! If I am to teach the way God wants me to, it will require WORK! Confessing sin and repenting (changing the way I think)…. I am enjoying teaching again and learning along with the kids. The house isn’t as clean as I like…..I don’t have much FREE time…..but I am in God’s will. Resting in HIM! I have recently begun to question a lot of what we do here. I want to tech my oldest two boys both young teens to be discerning truth in the light of the Word of God. To that end I have been looking at our homeschool choices through a microscope of Biblical analysis. I have just begun biology and the creation question is on the table. There is a wonderful website to peruse called reasons.org that does great credit to the debate. I have found some others that try to meld science and faith and do nothing but undermine the Gospel and the Biblical accounts. I have for years been an unquestioning 24 hour day creationist. Re-examining the most recent discoveries I am learning a ton. I am most amazed at the absolute perfection of God’s creation and His handprint on His works. It is a wonderful thing when God’s Word so clearly reveals something to you that you have been reading all along but just now see. The world he created does not deny His Word but just shows His awesome power and majesty. I know what you mean Anne when you say he takes something you have been so comfortable with and love and slowly takes it away. I feel awkward and somehow strangely at peace at the same time. Here is a big praise for the loving hand of Our Father gently leading us where we are afraid to go but making us less fearful with every step so we can boldly profess the gospel truth. In essence, regardless of your believes (and they are 100% different from mine), teaching needs to be done in a way that is neither abrupt nor force anything upon its subjects.